Please feel free to E-mail services@jackappliancerepair.com or call us at (919) 345-7146. Please leave a detailed message with a brief description of the appliance issue you are having. 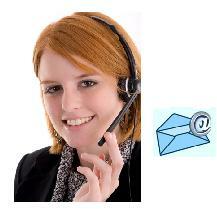 Once we receive the message, we will return the call or email with availability. WASHER: Name: GE, Whirlpool, Samsung, Asko, Frigidaire, Maytag etc..
DRYER: Name: GE, Whirlpool, Samsung, Asko, Frigidaire, Maytag etc..
DISHWASHER: Name: GE, Whirlpool, Fisher Paykel, Asko, Frigidaire, Maytag etc..
OVEN/STOVE: Name: GE, Whirlpool, Samsung, , Frigidaire, Maytag etc..